One of the most famous and evocative castles in Britain, Bodiam was built in 1385 as both a defence and a comfortable home. 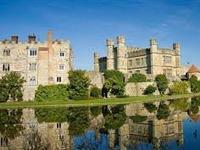 The exterior is virtually complete and the ramparts rise dramatically above the moat. Enough of the interior survives to give an impression of castle life. There are spiral staircases and battlements to explore, and wonderful views of the Rother Valley from the top of the towers. In the impressive gatehouse is the castle's original wooden portcullis, an extremely rare example of its kind. The half-timbered house, built in the early 16th century when Smallhythe was a thriving shipbuilding yard, was the home of the Victorian actress Ellen Terry from 1899 to 1928, and contains her fascinating theatre collection. 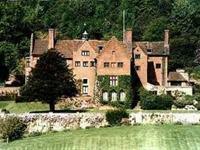 The cottage grounds include her rose garden, orchard, nuttery and the working Barn Theatre. One of Kent's finest historic houses, and also one of England's greatest defended manor houses it's history reaches back over six and a half centuries. Built of local sandstone the finest feature in this medieval house is the magnificent Barons hall built in 1341 with its 60 ft high chestnut roof, a prime example of 14th century domestic architecture. 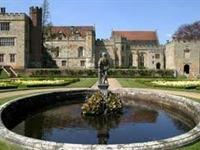 Later additions have seen Penshurst Place expand into an imposing defended manor house, containing state rooms filled with a remarkable collection of tapestries, paintings, period furniture, fine porcelain and armour.